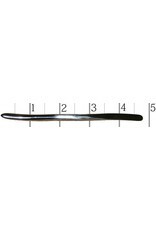 Stainless steel tool, great for use with clay and wax. 4-3/4in. long.